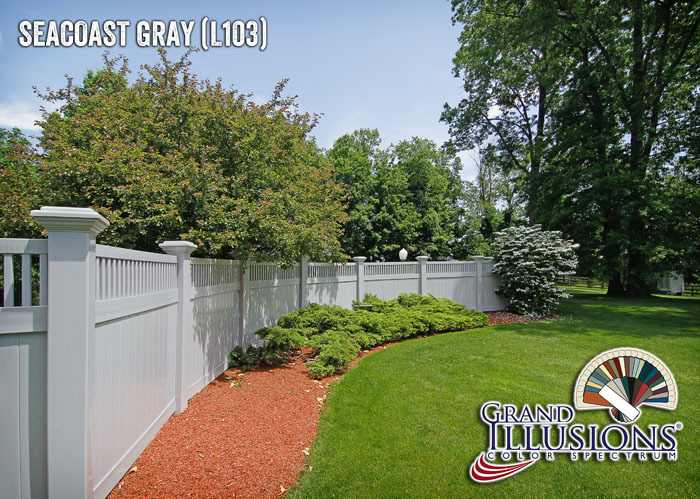 This awesome color vinyl fencing example is the V3701-6L103. Vinyl Privacy T&G fence with Framed Victorian Picket Topper. 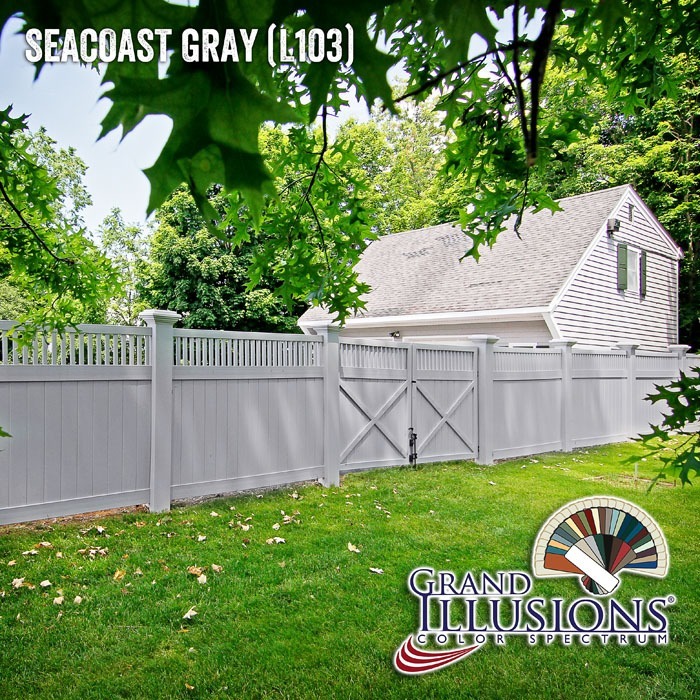 Shown in Grand Illusions Color Spectrum Seacoast Gray (L103) with Majestic 8″ x 8″ posts. Ever wonder how cool it would look to put 8″ x 8″ Majestic Posts on an entire line of fencing panels? Wonder no more. It looks fantastic. Just check out these photos of giant fence posts in action! 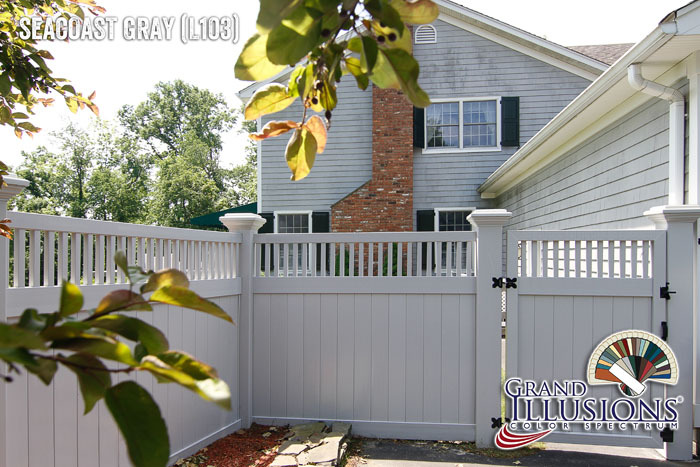 The Majestic 8″ x 8″ vinyl fence post by itself creates a feeling of power. Usually just reserved for vinyl gates and entrance-ways, these folks decided to go for it. They decided to put Majestic Posts on the entire job and the results are amazing! The fence looks larger than life. 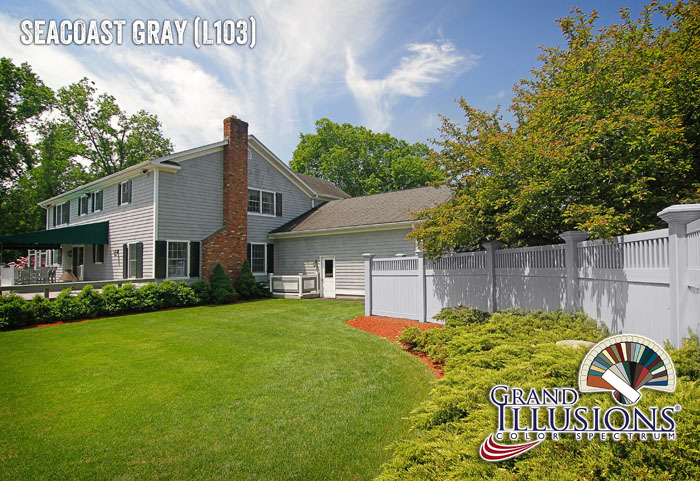 The homeowner also chose to add an element of the rustic painted fence look by going with the Grand Illusions Color Spectrum matte finish Seacoast Gray (L103). Great home. Great property. Great fence. 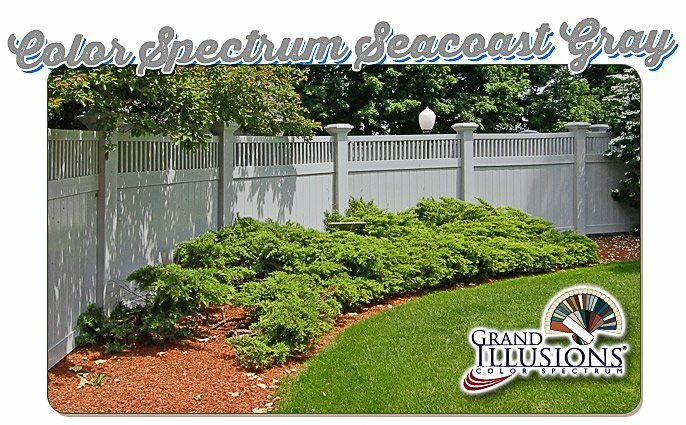 See more pics of color and woodgrain vinyl fencing products in the Illusions Fence Gallery.